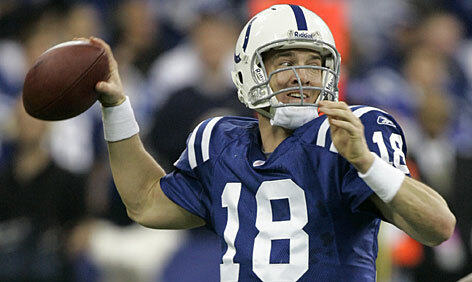 Look for Peyton Manning (pictured above), to lead the Colts to a major victory on Monday Night Football. The NFL scampers on to the near halfway point. So far this year has been crazy, and expect it to get “scary” this weekend on Halloween. The Cowboys are in dire trouble. The Vikings are vastly underachieving and marred by Brett Favre issues. Both teams out of New York are in first place and showing a true “Empire State of Mind.” Neither of last year’s Super Bowl participants, the Colts nor Saints, are in first place in their divisions. And the injuries are mounting. Dolphins at Bengals: I cannot pick against the Who Deys at home. They showed glimmers of life in the 3rd quarter last week. I cannot see this talented group falling to 2 and 5 against a mediocre Miami team. Bengals by 3 at home. Jaguars at Cowboys: America’s team looks to be a “one man team.” Outside of Dez Bryant, this team has looked awful. But for some reason, I am picking them to be able to slow down the Jaguars one-dimensional offense and regain some dignity at home. Cowboys by 3. Redskins at Lions: I will admit that the Skins have thoroughly surprised me this season. They have played close games pretty much every week, and gutted out 4 wins. The Lions have lost many close games this year. Sadly for Detroit, they are going to lose another close one at home by 1 this week. Bills at Chiefs: The Bills are the worst team at defending against the run in the NFL and the Chiefs are the best rushing team in the League. Jamaal Charles and Thomas Jones will power the KC boys at home by 10. Panthers at Rams: The Panthers gutted one out last week while the Rams lost a heartbreaker. Look for a reversal of roles this week. Expect Sam Bradford to put up numbers, as the Rams scrap out a nail biter at home by 3. Packers at Jets: My preseason Super Bowl pick right here. Sadly, injuries have really hurt the Cheeseheads. Still both teams are definite title contenders. But look for the Jets overall balance both offensively and defensively to prove too much at home. Jets by 1 in a wild one. Broncos at 49ers: The 49ers are arguably the NFL’s most disappointing team thus far. The Broncos have also been underachievers. Look for the 49ers to ride Frank Gore to a victory in front of Big Ben (London) by 6. Titans at Chargers: The Chargers have the number 1 ranked offense and number 1 ranked defense in the League! Yet they are 2 and 5. The Titans have been riding Chris Johnson and Kenny Britt offensively to a very strong start. Look for the Chargers numbers to finally translate into wins. SD by 3 at home. Vikings at Patriots: Will Brett Favre start? Who cares! No matter who the Vikings put under center, the Patriots will prove to be too much. Moss will be regretting his departure as his “new” team gets spanked by his “old” team. Pats by 10 at home. Seahawks at Raiders: Was that Raider’s performance legitimate last week? The Raiders are great at pounding the ball on the ground while the Seahawks have been masterful at stopping the run. Look for Seattle to “Rain” on the Raider’s parade with a 3 point road victory. Steelers at Saints: It is no longer last season. The Saints are struggling offensively. They hit new lows with a home loss to the lowly Browns last week. Well things will continue to get worse as the Steeler’s D roughs Drew Brees up in front of a national television audience. Steelers steal one on the road by 6. Texans at Colts: What a matchup this will be. Definitely the week’s most exciting game. Two great offenses putting on a show on Monday Night Football. Do not expect Peyton Manning to lose two times to a divisional opponent. It just doesn’t happen. Colts by 3 at home. Almost halfway through the season with no undefeated teams. There is something to play for every single week. Look for some mid-level teams to try and make a push for the second half of the season this week. Expect some spooky NFL action this Sunday. Many teams will be trick or treating while others will be crying. The wild NFL continues Sunday. 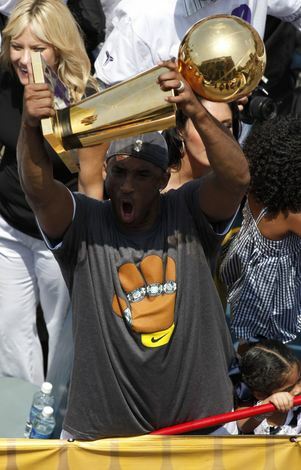 Expect to see Kobe Bryant (pictured above) holding up a championship trophy for a 6th time come June. The NBA is back folks. Hard to believe, but after an epic NBA Finals in May, the “Decision” in July, the World FIBA Championships, and preseason basketball, it feels like it never ended. Well either way, the action gets going tonight with a big time matchup in the East. 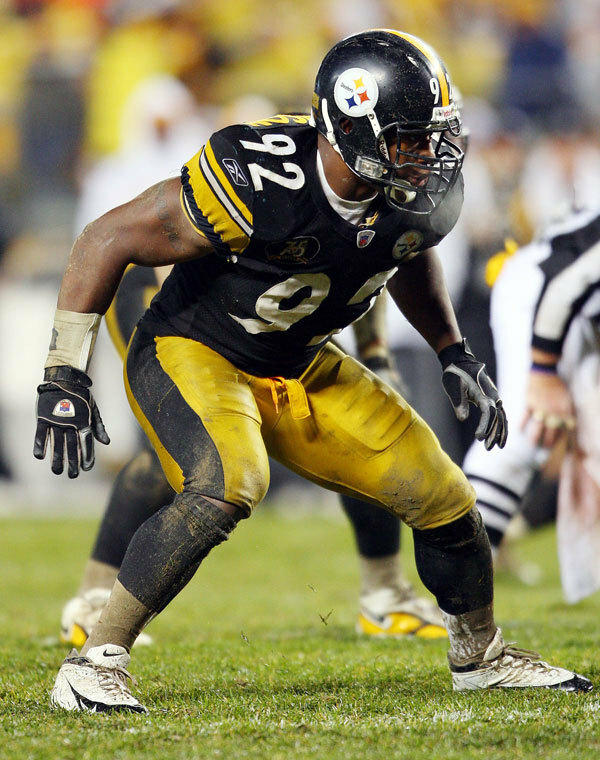 -What affect will the “Decision” have on the overall scope of the League? -Can Miami’s stellar trifecta bring Lebron his first championship in South Beach? -Can Phil Jackson capture his 4th version of the 3-Peat? And going with this, will Kobe tie Jordan with his 6th title? -Are the Magic ready to finally take that final step and win a title? -Can Boston finish the job this year in what looks to be the last year with this amazing group in tact? -Has the Eastern Conference finally caught up to the West (it would be for the first time since the Jordan era with the Bulls)? -Do the Thunder or Bulls have what it takes to shock the world? Atlantic: Celtics: In what may be the NBA’s weakest overall division, I got the Celtics bringing home their 4th consecutive divisional title without much difficulty. This team is extremely tough, and if they remain healthy, could put up the best record in the entire League. Southeast: Magic: Shocking I know. But I do think contrary to popular belief, that the Heat will have some growing pains. They have an amazingly talented group. But the Magic have been good for some time now and look ready to take the next step. Not to mention they have won the division 3 consecutive years already. Central: Bulls: Chicago is a team that is kind of hiding behind the mighty Celtics, Magic, and Heat. And believe me, they are fine with this. This is an extremely talented team that will quietly go about their business all year, and be there come playoff time. They had arguably the best offseason, outside of Miami, picking up Carlos Boozer and sharpshooter, Kyle Korver. Look for Derrick Rose to continue to play exceptional and really utilize the talent that management has put around him. Southwest: Mavericks: This may be the most up for grabs division in the entire NBA. They have a few very talented teams in Dallas, Houston, and San Antonio. Though I do not see a title frontrunner in the group, teams like Dallas and San Antonio have been very solid for over a decade now. Do not sleep on the teams out of this division come playoff time regardless if they are beginning to age. I am taking Dallas here though, due to their amazing owner (Mark Cuban), and their outstanding consistency over the past decade. Northwest: Thunder: This will be another hotly contested division at the top. I see the Thunder and Trailblazers having a great battle down the stretch for the division title. But Kevin Durant is arguably the best scorer in the entire game now. And though I wish Oklahoma City could have made a move to bring in a major interior presence such as a Carlos Boozer, this team is extremely exciting and young. Honestly, if you are looking for a fun team to watch, look no further than the Thunder. Durant, Westbrook, Cook, Harden, and Green are some of the best young players in the League. And they all happen to be on the same team. Not to mention this team now has some playoff experience. With a major midseason move, this team could be a title contender. Pacific: Lakers: As if I was going to pick somebody other than LA. This team has been to 3 consecutive NBA Finals and look to be the frontrunner to come out of the West for the 4th consecutive year. This team has great chemistry, a phenomenal coach, and great length at every position. Not to mention they have the best closer in the game, Kobe Bryant. Expect the Lake Show to be around and right in the thick of things come May. I am going to pick one sleeper team out of each conference. Now in the East, the Bulls are my team that could shock the world. Now I realize I am picking them to win the division title, but they also are a team that is really known as the 4th or 5th fiddle in the East due to teams like the Celtics, Magic, and Heat. Another team to keep an eye on though is the Brandon Jennings led Milwaukee Bucks. This team is young and talented. But my sleeper pick in the East is the Chicago Bulls. Out of the West, my sleeper pick has to be Portland Trailblazers. Now I would have said the Oklahoma City Thunder, but they are really no sleeper team to anybody anymore. Many analysts have them as the 2nd best team in the West, after the Lakers. But the Trailblazers are a team that has had the talent for years now. Injuries and poor execution down the stretch has been a thorn in this franchise’s side for some time. With a healthy roster, this team is big, fast, and athletic. Not to mention they have great length. Length is a key in this league today, and the Trailblazers have it. The question is can guys like Greg Oden, Lamarcus Aldridge, and Brandon Roy stay healthy? If this team stays healthy, do not be surprised to see them play their way into the Western Conference Finals or dare I say the NBA Finals?! Celtics over Magic in 7: I know many of you are thinking, how could you not have Miami at least going to the conference finals? And I will admit, they could easily ride their 3 stars all the way to the title, but I do not see it happening yet. Miami is a year away in my eyes. Team chemistry cannot be bought. It has to be formed through going to battle together. The Celtics and Magic are two very deep teams, that if they remain healthy, could each easily win the East. But I got the Celtics, heading to the Finals for the 3rd time in 4 years. Lakers over Thunder in 6: You better believe I got the Lake Show heading to their 4th consecutive NBA Finals. This team is just so deep, so well coached, and full of star power. Now I will state that the Thunder could easily be a major bust though, but I am expecting them to pick up a big man at some point during the season , that will provide the final piece to the puzzle. Sadly for the Thunder, Kobe Bryant is still Kobe Bryant. He has a greater will to win than any player in the game today. If you look up the term “Refuse to Lose,” Kobe Bryant’s picture will show up next to it. Expect to see Phil smiling in June (again). Lakers over Celtics in 7: I am making the same call I made last year. And it is a safe bet in my eyes. Both of these teams return basically their entire rosters from last year and look poised to go to battle for the rubber match. Sadly for Boston, I see the Lakers ending up on top. Phil Jackson and Kobe Bryant are just too good of a combination. But it will be an epic series that will provide the NBA with possibly its highest ever television ratings. Kobe will be even with Michael Jordan come June. So there you have it. What a year it is going to be after the most tumultuous and action packed offseason of all time. “The Decision” will have no affect on the NBA Champion in my eyes though. 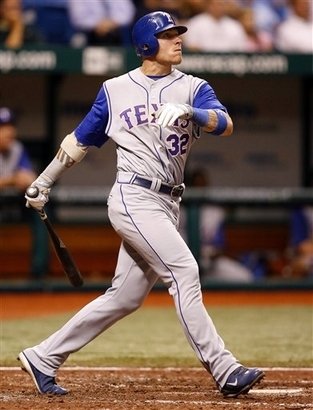 Texas Ranger's slugger Josh Hamilton (pictured above) has put the Arlington boys on his back all year. Can he lead them to the World Series title? Welcome to the 2nd annual “Weekly Nickel.” Last week, due to popular demand, I decided to provide a list of the top 5 sporting events to occur during the upcoming week. So this week I will once again deliver on this requested subject matter. Now my top 5, may not be the same as yours. That is perfectly fine, but please let me hear your thoughts on what your version of the “Weekly Nickel” should be. 5. NHL hockey is in full swing folks. I know the sport is not as followed as the traditional Big 3, but games are still very exciting nonetheless. Tune in and watch Sid the Kid or Alex Ovechkin continue to transform the sport as we know it. 4. The NFL rumbles and stumbles into Week 8. There are two matchups that deserve extra mention in my eyes. First of all the two teams I picked to play in the Super Bowl, go to battle in the Meadowlands. The underachieving and injury riddled Cheeseheads head to New York to take on a very tough New York Jets team. The other major game is the Monday Night matchup. Can Peyton exact revenge on the outstanding offensive show that is the Houston Texans? All eyes will be on Manning and the Colts as they look to show the world that their reign over the AFC South is not quite finished. 3. College Football heads into Week 9 as conference play has fully struck for everyone. Boy has this season been unpredictable, as the number 1 teams have struggled the past few weeks. Can Auburn stop this trend as they sit atop the BCS Standings? There are plenty of notable matchups. First, there is a Big Ten battle in Iowa as the Spartans look to take care of business in their last major test of the season. Also, Missouri looks to show the world that their amazing victory over former number 1 Oklahoma was no fluke. This will be an intense battle of Missouri’s stellar offense vs Nebraska’s outstanding defense. 2. The NBA tips off tomorrow night with a major Eastern Conference matchup between the highly touted Heat and the always tough Boston Celtics. Will the amazing Miami trifecta live up to the hype and show the world that they are the team to beat in the East? 1. The World Series starts Wednesday night in San Francisco. Who would have guessed this matchup? I know that I sure didn’t. I had the Yankees taking down the Phillies since March in my MLB preview. But what remarkable stories for both of these great teams. You have to be happy for Josh Hamilton in his amazing comeback to the game of baseball. Can Tim Lincecum and the Giants great defense hold the great Ranger’s offense in check? Though this may not be the most highly touted World Series in recent memory, it should be very exciting as two pretty evenly matched teams go to battle. Will Nolan Ryan come out of retirement to throw and inning for the Rangers? I wanted to apologize to all of my fans. My picks last weekend were absolutely horrific. You could not pick much worse than I did. So in Week 8, I look to redeem myself and show you all that this past weekend was just a fluke. 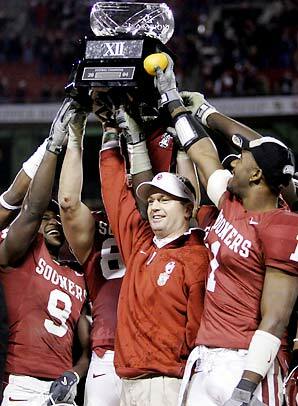 Start calling Oklahoma Coach Bob Stoops (pictured above), "Big Game Bob" again folks. Just know that this will be a weekend to remember for the Big 12. So here is a look into a few of the marquee matchups. LSU at Auburn: Two very surprising teams sit atop the SEC with undefeated records. Nobody saw this coming, but these squads are both tough. And as the year continues, they both have continued to get stronger. Auburn put on an amazing offensive outburst last weekend against a tough Arkansas team while LSU put up some numbers against a lesser foe. Well Saturday, get ready to see a team make a major statement. The winner of this game will place themselves in great position to play in the SEC Title Game and possibly the National Championship come January. These teams have some contrasting styles. 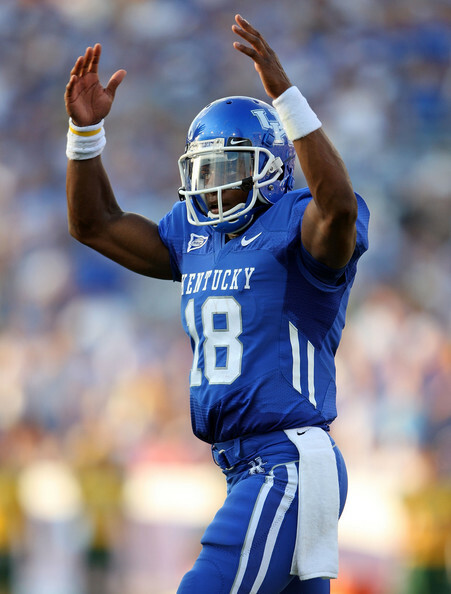 Auburn relies on a dual threat quarterback, Cameron Newton. Mine as well start calling this kid “CN” for “Championship Newton.” He can do it all and leads one of the most feared offenses in all the land. LSU on the other hand uses two quarterbacks for various situations. Relying on an old school smash mouth rushing attack and a stellar defense. Can their defense contain the mighty CN? I think not. Auburn will have too much offensive burst in this one and win a real battle 20 to 17. Tigers by 3 at home. The raucous Auburn Stadium will be the differentiating factor in this intense battle. Wisconsin at Iowa: Talk about a formidable Big Ten matchup. You better believe the old school Big Ten is wide open again. The Badgers did the entire country a favor in knocking off a very tough Ohio State team. Sadly for them, there is no time to celebrate. Instead they get to travel to Iowa to take on a very tough Hawkeyes team. This will be the Badgers last real challenge of the entire season. A win in this game could really put the Camp Randall boys back into the Big Ten race. Though Michigan State looks tough at the top. Iowa on the other hand has quietly gone about their business since a tough loss out on the West Coast to Arizona. Ricky Stanzi continues to manage games with the best of them and finds ways to win. Can Iowa ride their defense to a victory in this one? I am thinking so. Look for Wisconsin to suffer a major low after a major high last weekend. I got Iowa gutting out a big win at home by 3. Nebraska at Oklahoma State: Can Nebraska recover after showing that Texas was their kryptonite last Saturday? You better believe it folks. OK State’s offense has been absolutely electric all year. Junior Quarterback, Brandon Weeden, aka, Old Man River, has been stellar in every sense of the word thus far. But he has not faced a defense like the one the Cornhuskers have yet. This will be a wakeup call for the Cowboys. It is a shame, because they have been great thus far. But sadly, they will drop a tough one at home as their offense struggles to find any rhythm or continuity due to a lacking rushing attack against Bo Pelini’s boys. I got Nebraska by 7 on the road. Oklahoma at Missouri: A second major battle in the Big 12 of unbeatens? What a weekend it is in the last year of the Big 12 as we know it. Stoops and the boys head to Missouri ready to continue to make some noise. Missouri can no longer fly under the radar folks. This is the big time. Can Missouri’s stellar defense stop Oklahoma’s very balance offensive attack? They probably will hold them in check for a couple of quarters. Expect Landry Jones, Ryan Broyles, and Demarco Murray to go to work in the 2nd half though. Start calling Stoops “Big Game Bob” again folks. I see Oklahoma running away with this one by 13 on the road. So there you have it. A huge weekend for the Big 12. A big weekend for the SEC. And a big weekend for the Big Ten. Can I get it straight this week? 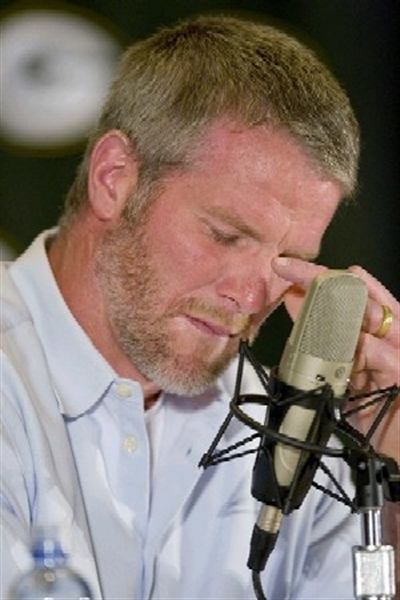 Sadly this type of image of Brett Favre (pictured above) may become a common site for the American public as issues of a possible affair loom. I hate to contribute to the ongoing 24/7 discussions of Brett Favre, but sometimes it is the best story out there. And today quite frankly, I could not resist. He loves the NFL lifestyle folks! Something that comes with that NFL lifestyle is partying and women. And what athlete does not like these things? They are basically laid on a plate for them to enjoy throughout the courses of their careers. Sadly for Brett, I do not think he can handle being at home all year around and acting as a typical family man. He thirsts the NFL lifestyle. He thirsts the ability to go out and do whatever he wants, whenever he wants. Quite frankly, I cannot blame the guy. He is living every 21 year old’s dream at the age of 41. Really what could be better? People seemed surprised by the whole Tiger Woods fiasco. And I will admit, it caught me off guard. But this scenario comes as no surprise to me. Since Brett decided that he was bigger than the game around 3 or 4 years ago, I lost all respect for number 4. Well now more people are going to lose respect for arguably the greatest statistical quarterback of all time as World War III in the Favre household begins. People forget about other faults that Brett has demonstrated throughout his career. He had a Vicodin problem. He had a family issue of frankly not being there for his wife and daughter. He even had a drinking problem. Make no mistake, this issue with women though, will cause a huge public uproar. There will be no hiding behind an offensive line on this one for #4. Jenn Sterger, the woman making these accusations, has opened the floodgates folks. Women will be lining up now to get in all this. The days of Brett Favre being all over television commercials will be coming to a bitter end. I am not saying that Brett is going to experience the earthquake that Tiger Woods did. But the guy is already hurting with tendonitis and all sorts of injuries. His team has underachieved. And now he is about to deal with a plethora of family problems. This year will be it for Brett Favre folks. I guarantee it. Favre’s faults are about to be exposed for all of America to see. Not the best time for this to happen considering he heads to Lambeau on Sunday to take on the Packers.